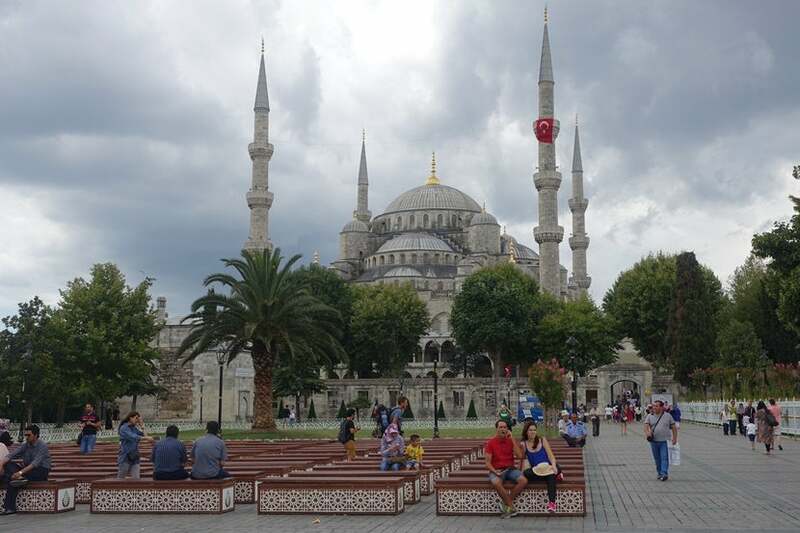 TPG Contributor Lori Zaino shares her experiences in Istanbul following last week’s failed military coup in Turkey. (All photos are by the author). 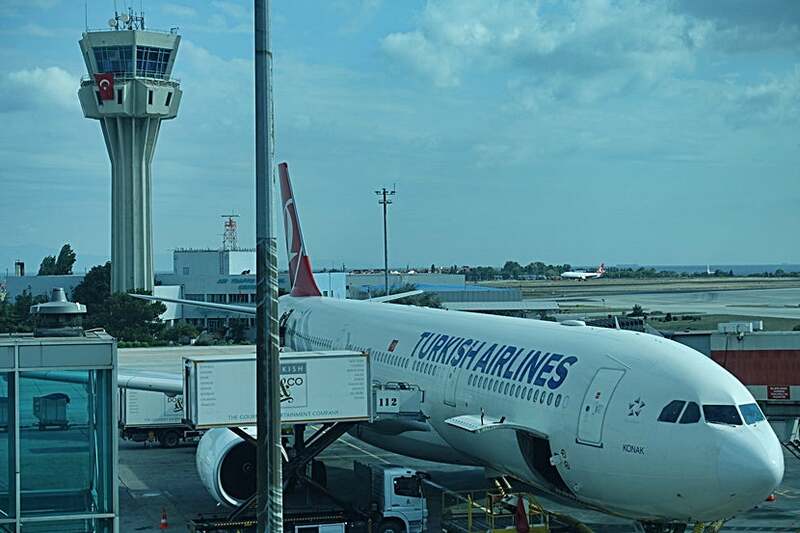 I’d booked a trip from Madrid (MAD) to Kuala Lumpur (KUL) on Turkish Airlines a few months ago, adding a 15-hour layover at Istanbul Atatürk Airport (IST) after realizing that Turkish Airlines transit passengers can opt to do a free city tour during longer trips. My ticket was pretty affordable, at about $350 for a one-way trip, plus I’d redeemed AAdvantage miles for a flight home through Doha on Qatar Airways. When I saw what was happening in Turkey last weekend, I quickly called Turkish Airlines to see if I could get re-routed via a different airline and city so I could get to Kuala Lumpur without having to go through Istanbul, just in case — I waited on hold for a long time and gave up. 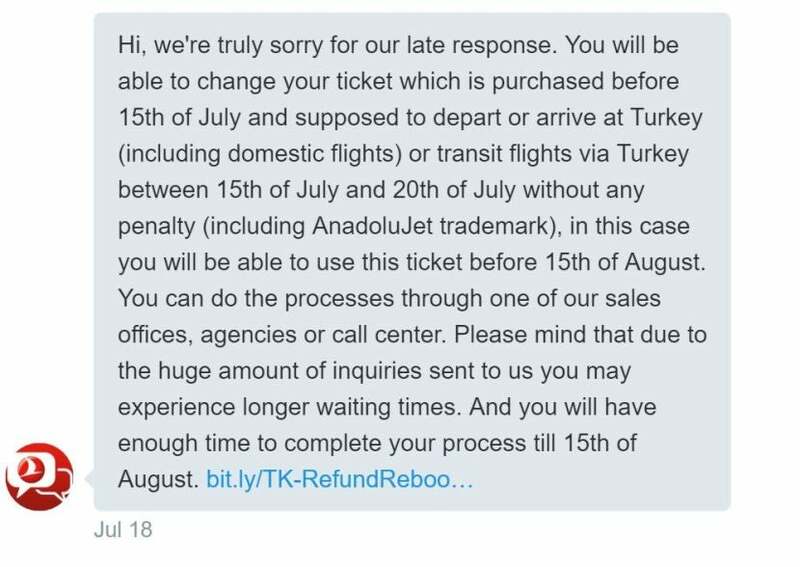 Finally a response on Twitter — three days later — from the Turkish Airlines Help Desk. On Tuesday morning, it seemed as if things had calmed down a bit and the FAA had lifted the ban on flights to and from the US. The news in Spain also seemed to portray the situation as safe for travelers, so I decided to stick with my original plan and go for it, despite warnings from friends and family saying I should just cancel or re-book my trip. I figured if I felt unsafe or worried when I got to the airport, I could always head into one of the lounges and kill some time there instead of doing the city tour — I just had to keep myself busy until the overnight flight from Istanbul to Kuala Lumpur, which left Wednesday evening. 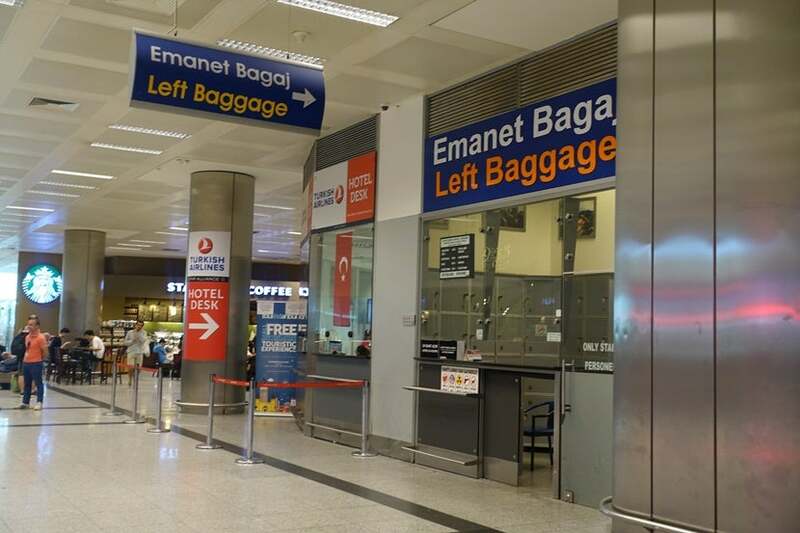 My flight from Madrid landed in Istanbul at about 5:00am, exactly as scheduled — the plane had been fairly full and upon landing, the transit zone seemed quite crowded. As flights were slowly returning to normal, the airport was busy and I was glad that I had previously done my e-visa online, meaning I could head to a faster line at immigration — I only had to wait a few minutes and was in and out without hassle. I cautiously proceeded through arrivals (my bag was checked through to Kuala Lumpur so I headed right out) and realized the airport seemed very calm and there seemed to be very little additional security — I did spot a few armed guards, but I’m used to seeing that in airports all over Europe, so it didn’t faze me a bit. The international arrivals hall, looking totally normal. I found a nice row of chairs for a mini-nap before grabbing coffee and breakfast at Caffè Nero before my city tour started. Around 7:00am, the airport starting picking up and things seemed to be running entirely as normal. If I hadn’t already known a military coup had occurred just a few days earlier, I never would have guessed it by the way things looked. The city tour of Istanbul, which Turkish Airlines offers transit passengers with layovers of 6-24 hours for free, was actually fantastic and I’ll be writing about that in a separate post. What you really need to know right now is that the airport — and the city itself — felt very safe. People were hanging out and enjoying views of the Blue Mosque in the city center as usual. Once I arrived in the city center, I found things to running entirely as usual. People were friendly and welcoming and I didn’t notice any increased police presence, extra security measures or anything else that seemed to be out of the ordinary. As always, there were plenty of tourists around and locals going about their daily activities. There wasn’t a single moment where I felt uncomfortable or unsafe within the city center, even when I was wandering around on my own. We spotted many large Turkish flags hanging around the city that seemed very bright and newly hung, but that was really our only clue that something might be different than usual. 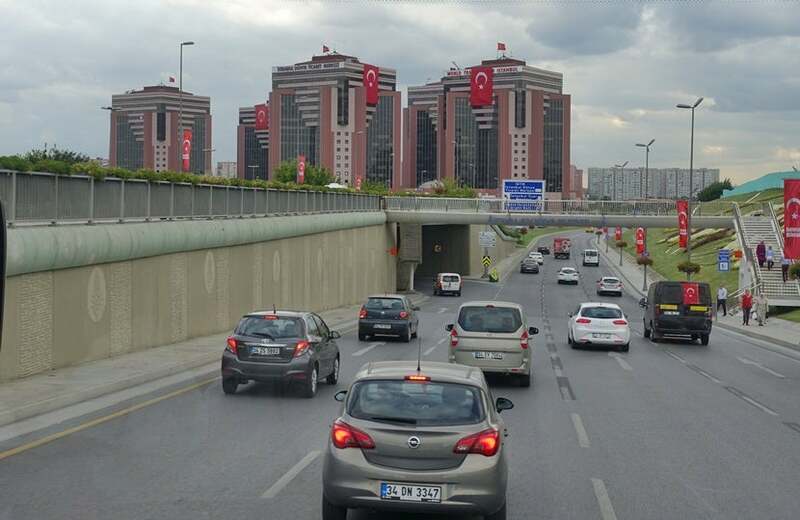 We spotted a lot of Turkish flags during the drive to the city center from the airport. Upon returning to the airport, the departures area seemed quite busy (I didn’t really need to head through there as my bags had already been checked), while the lines were very long at passport control. I waited about 30 minutes to get my exit stamp, which was given without much ado, and headed straight through to security — I was asked to take my laptop out and turn it on, but when I went to do so, the guard told me it wasn’t necessary. My travel companion was asked to open his backpack so they could do a brief bomb residue test. These security measures, while possibly being intensified, didn’t feel unreasonable to me at all, especially given the circumstances. After making our way through security, the two of us waited for our gate information. The airport felt crowded, which could have been due to the delays and cancellations that occurred over the last few days, or perhaps it’s always this busy here during the summer holidays. Our flight to Kuala Lumpur left on time and nothing really stood out; everything seemed to be done by standard procedure. Ready to board our flight to Kuala Lumpur (KUL) at Istanbul Atatürk Airport (IST). I’m glad I continued with my trip as planned. Although I wasn’t there for long, my experiences at the airport and while touring the city center seemed completely calm, safe and normal. If you have a flight to Istanbul coming up soon or plan to visit or change planes here, you should be just fine. That said, if you still don’t feel comfortable traveling through Turkey at this time, contact your airline to see what your options are and check for travel warnings and other safety updates from the US State Department before you go, just in case. Will the recent coup attempt in Turkey stop you from traveling to Istanbul?